Want to head to Italy but do it on a budget? Here’s how. Flights from Ryanair that fly into Milan / Bergamo can be found for an extremely low rate. Bergamo is one hour away from the Capital but at only €5 for a comfortable bus ride it’s an easy way into the City. Lake Como is also easily accessible from this airport. Flights can be found as low as £20 for a return, leaving from Bristol. Instead of booking an hotel, why not opt for something different? Staying in an apartment there are many more amenities, such as cooking facilities. Make use of the cooking facilities to cut costs on breakfast etc. Buying supplies at the local supermarket can make a huge different to your budget, even if it’s only buying alcohol it could save more than €10. Staying at an apartment also makes you feel more like a local rather than a tourist. A good priced apartment I book with is Residence Desenzano. It’s not the Ritz but they have everything that you will need for your stay, priced at around £40 per night. In Italy beware of the City tax, there is a charge of €6 per person. 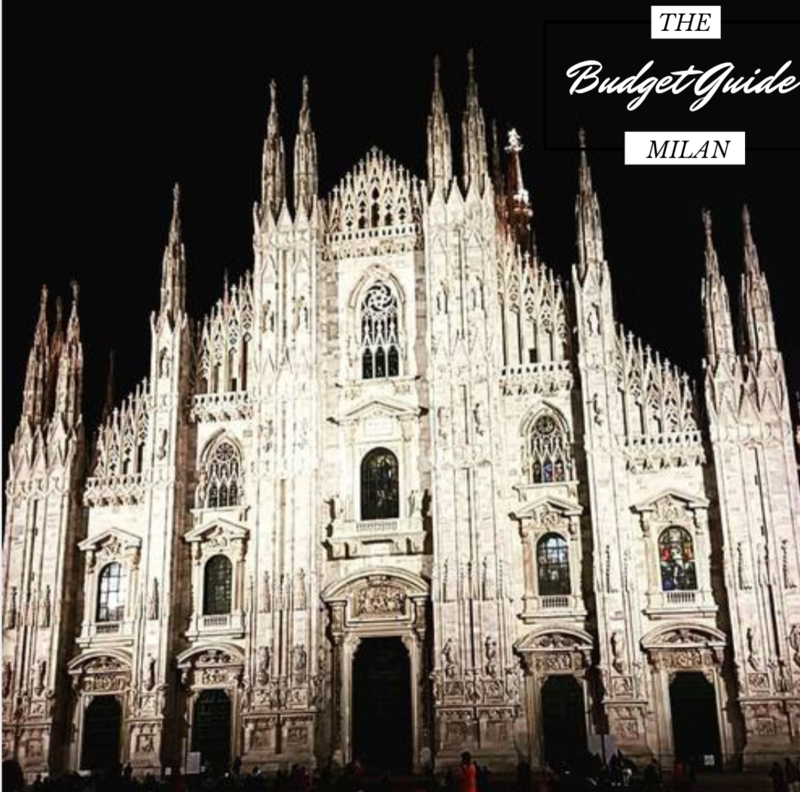 Reknown for fashion, museums and most probably the best cuisine in the world your probably thinking how on earth could you budget in Milan? 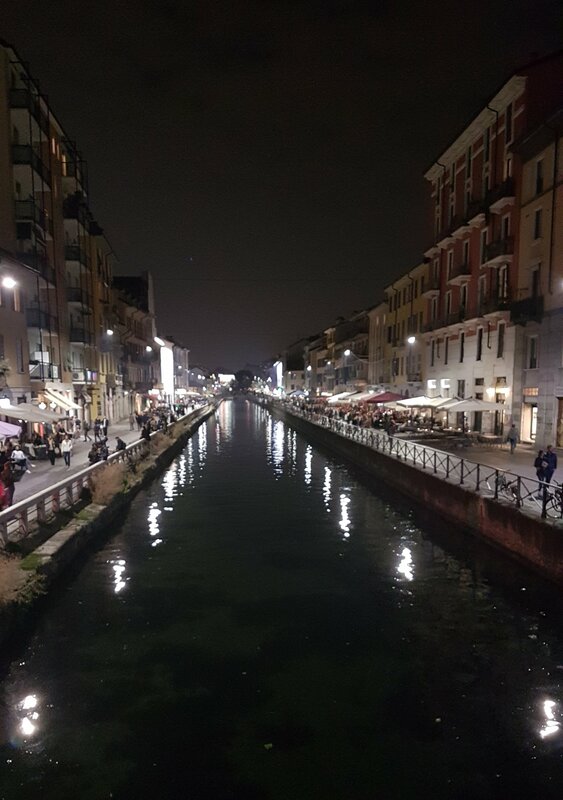 I recently just got back from Milan, taking only €80 with me for 3 days. 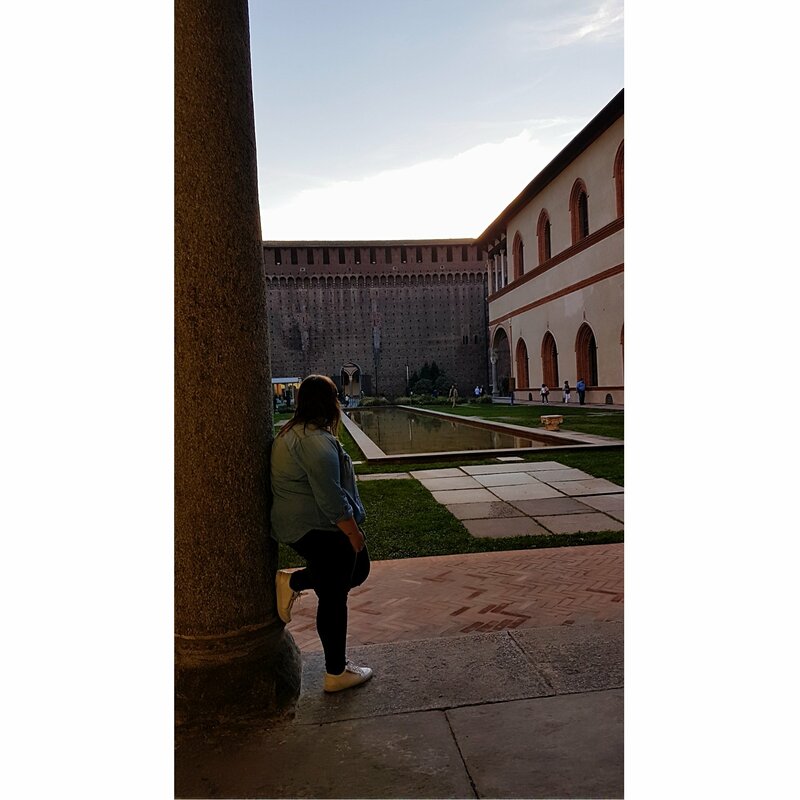 With flights and hotel included it came to no more than £145 for the whole Italian experience, even including a day trip to Lake Como. Metro tickets in Milan are responsibly priced at around €4.25 a day for unlimited travel. 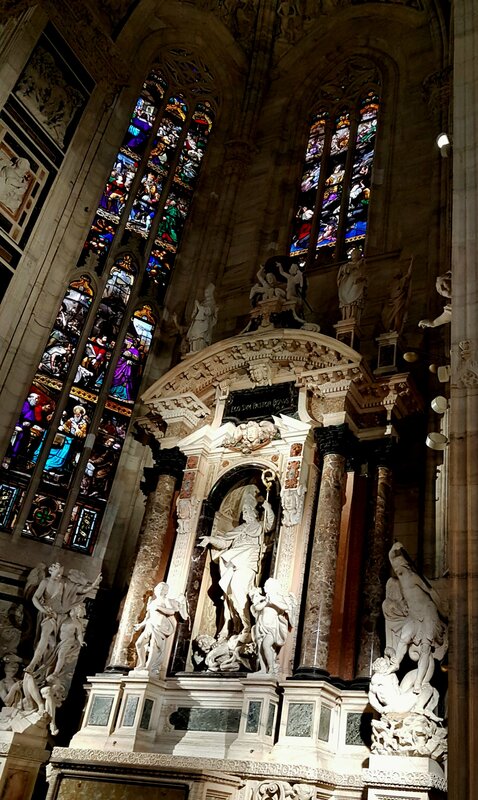 Start your day at Duomo. Tickets start as low as €3, this will gain you entry into the extravagant Cathedral. Marvel at the beautiful stained glass and lofty ceiling. For €7 climb the stairs into the towers that showcase the panoramic views of Milan. 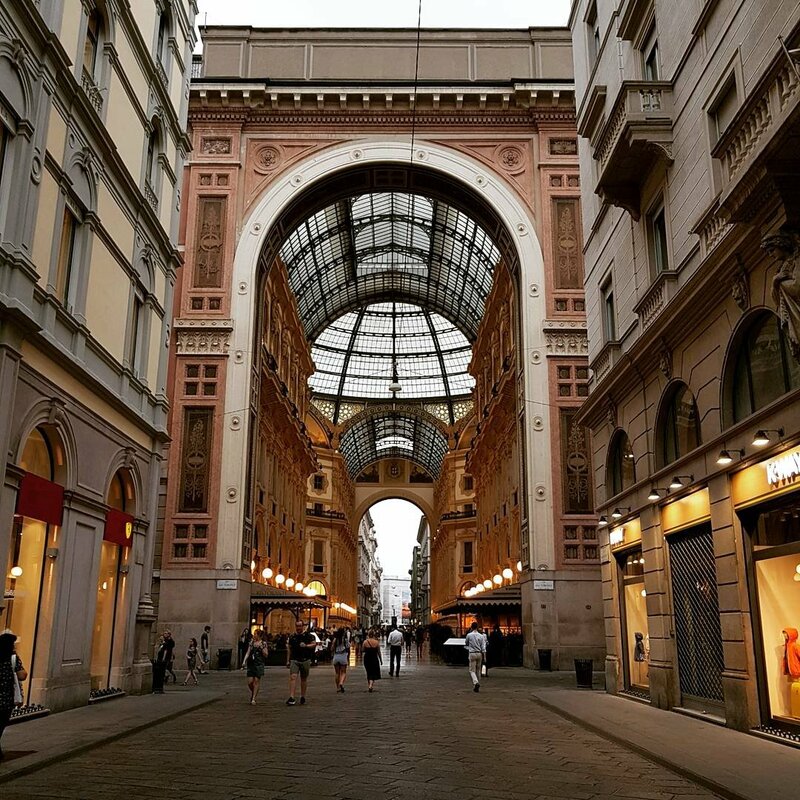 This elegant shopping arcade lined with luxury shops and luxurious cafés, is definitely not budget friendly but is a must-see. 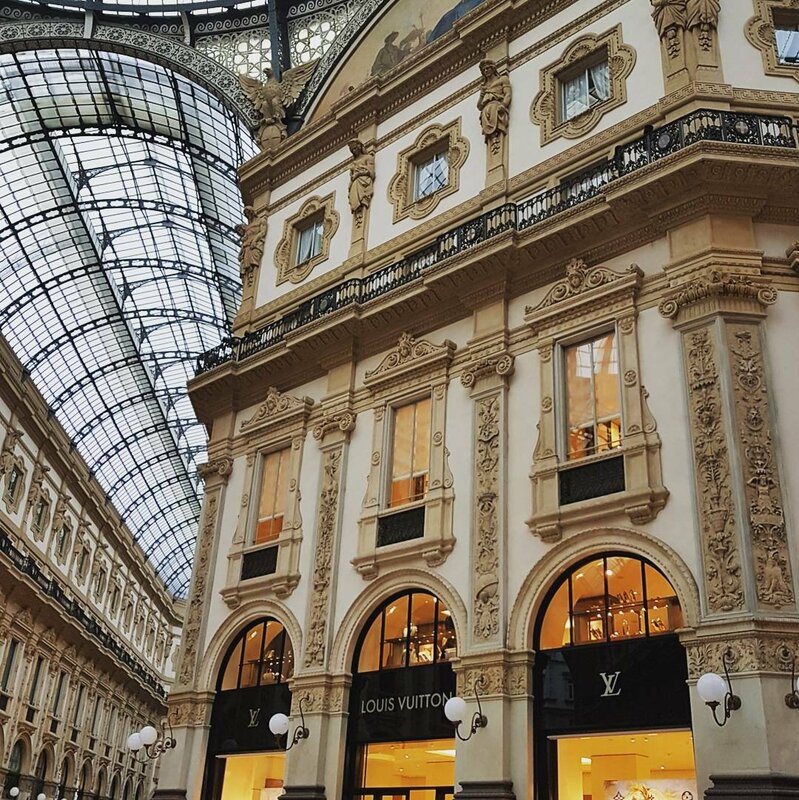 Stroll past the designer stores Prada and Louis Vuitton. Sitting close to the Duomo and the Galleria. 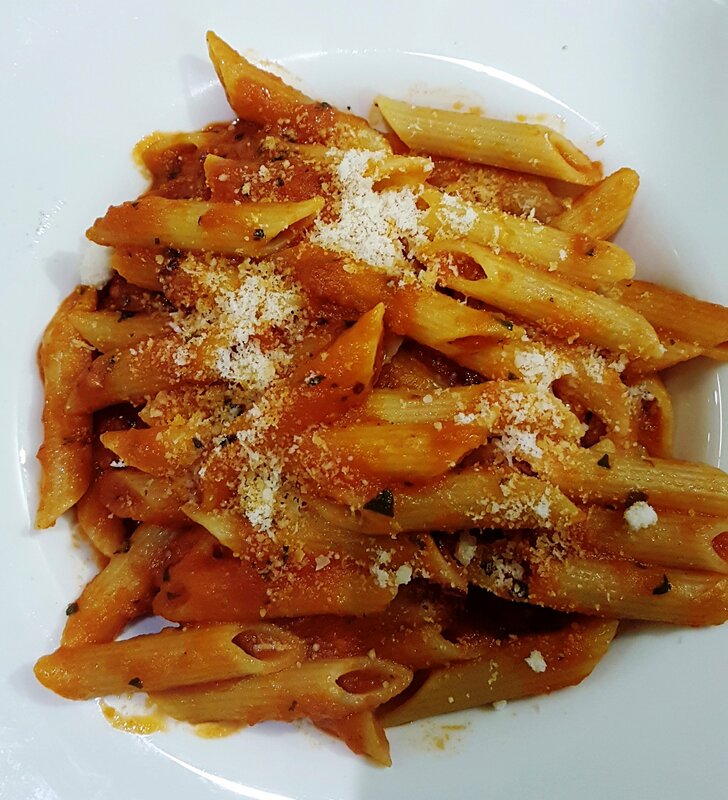 This Italian restaurant is a hidden gem tucked away on a side street. Prices are very good with Pizza at €7 and Pasta at €9. A meal for two is just under €20 including drinks but be aware of that City tax added to the bill. 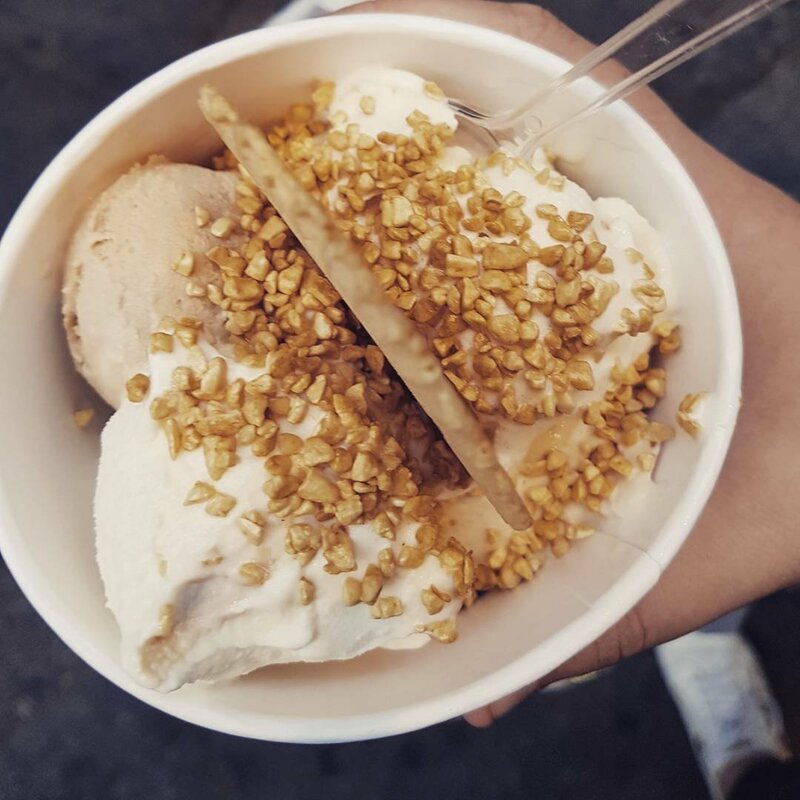 Here you will find the most incredible Gellato. Prices range around €2-€5. The pretty canal district is vibrant with a good atmopshere for Aperitivo. Get there for around 8pm, it’s happy hour which means signature cocktails such as Spritz are €5. Be vigilant in this area as it’s widely known for pick-pockets. This expansive Castle, is house to six museums. It is a must-see for art lovers, dont miss De Chirico’s Myseterious Bath Fountain. 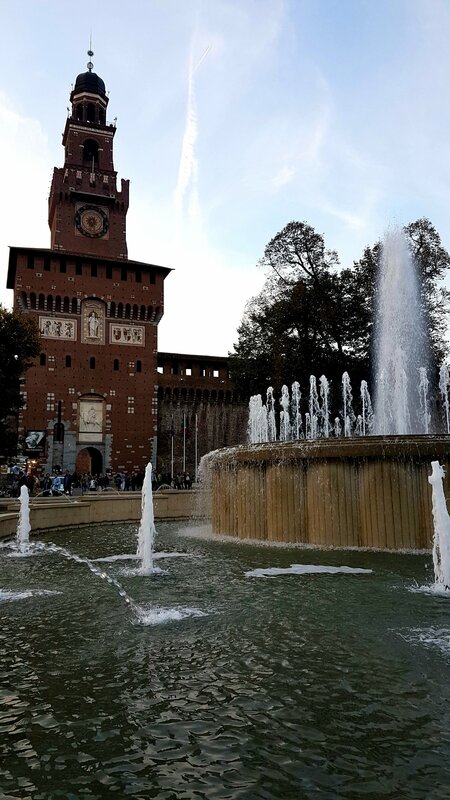 Directly behind the Castle is the City’s best park, the picturesque gardens of Parco Sempione. Entrance to the Castle and park is free.